Once upon a time, I always believed that cleansers will work wonders on my skin just as advertised. However, I gradually found that cleanser is something that will only stay on my face for a few seconds and I should not expect too much. Hence, from my perspective, a cleanser that can not only remove dirt and dead cells but leave my skin hydrated and soft is a great choice. I know that different skin type will need different levels of clean and moisturizing. These Korean cosmetic companies know much better than me. So they developed tons of cleansers to cater your needs. 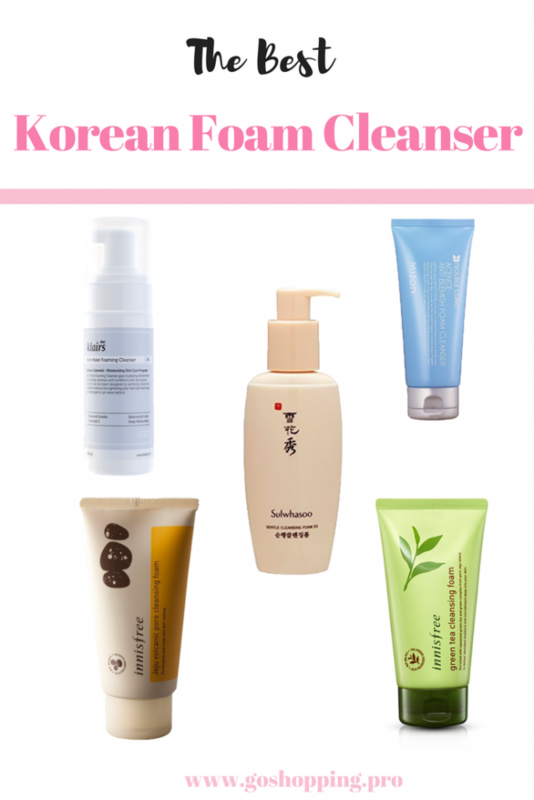 As foam cleanser is the most common form of facial cleanser, so I think it would be a great idea to talk about Korean cleansers start from here. 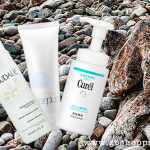 I pick up the best Korean foam cleansers for each skin type and hope it would be helpful. Yes, I admit that I already mentioned this Innisfree Jeju volcanic pore line for a few times. 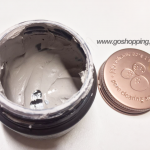 (See also Innisfree Super Volcanic Pore Clay Mask Review ). This foam cleanser is consistent with other products in this series which contain Jeju Super Volcanic Cluster-an active ingredient extracted from volcanic mud. This ingredient works to clean pores and sebum, remove dead cells and impurities. It will deep clean your face leaving you feeling squeaky clean finish. It helps to control oil and tighten pores too. Hence, this volcanic pore cleansing foam is a great choice for oily skin. As the name of this cleanser suggests, it is a foam cleanser that works in a gentle way. For dry skin, sometimes it is hard to choose a cleanser because a lot of them just make you feel strapped and your dry patches even getting worse.This cleanser is infused with a lot of herbal extracts such as duckweeds and chestnuts to cut through excess oil and pollution but still moisturize your face at the same time. It is an amino acid cleanser which also helps to maintains your moisture level. This cleanser not only will not dry out your skin, but give you a smooth, soft, and hydrated feeling. Besides, just like other Sulwhasoo products, it has a lightweight and pleasant herbal scent. Therefore, it is a cleanser that will not over clean your face which is suitable for dry skinned peers. A little goes a long way, it can last almost half a year if you use it twice a day. This Innisfree foam cleanser has a natural green tea scent to bring you a refreshing feeling. What’s more, the addition of green tea extract in the formula works to reduce inflammation, calm redness and balance oil production. As a combination skinned girl, finding a cleanser that cleans my T-zone but still takes care of my dry check and chin can be frustrating. Hence, when I come across this foam cleanser, it surprises me. I feel my pores have been cleaned up but my check still stays hydrated. My blackhead seems not as visible as it before. Plus, it is so affordable. So, it is definitely one of the best Korean foam cleansers for combination skin. If you are new to the K-beauty world and you accidentally have sensitive skin, choosing Klairs skin care products will never go wrong. Due to its safe and mild formula, Klairs products gain a huge popularity in the US. In fact, it almost suits for all skin types (See also The Truth About Klairs Supple Preparation Facial Toner and Review: Klairs Rich Moist Soothing Cream) In accordance with other dear Klairs items, it is paraben-free, fragrance-free and alcohol-free. It contains a blend of ceramide 3, hyaluronic acid and olive oil, helping to hydrate skin and repair cell damage. Other ingredients are natural and low-irritated. Moreover, by using amino acid as the cleanser surface active agent, it avoids any irritation may be caused by chemical detergent. You see, it is a really safe choice for your fragile sensitive skin. Just take a bump of cleanser and enjoy the mild bubble it brings to you. This Mizon foaming cleanser is a specially designed product for acne-prone skin. Pimples and breakouts are very annoying so that you want to use something with strong effect to kill them. However, it may cause more problems in the end. This cleanser can not only effectively clean your pores, remove sebum and dirt, but reduce redness and irritation caused by acne itself. It is formulated with mild ingredients so that you can avoid any extra inflammation, which is exactly what you need when you deal with blemishes. Besides, this formula contains a lot of moisturizers to make sure your skin will not dry out.Hence, this one should be one of the best Korean foam cleansers for acne. 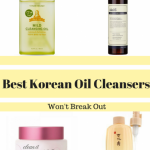 This is my list of the best Korean foam cleansers, it is based on my own and my friends’ opinion, I also did some research on it. I break down the ingredients so as to help you decide whether it is good for you nor not. Once again, never expect too much from a cleanser. The cleanser that clean but not over clean your face and still make your face hydrated is already a perfect choice.